Jeff Zatkoff allowed 6 goals on 30 shots (.800 SV%) against the Panthers offense last night and ruined our two plays on Pittsburgh. The 6 goals the Pens allowed were three more than they allowed in their first three games combined. The Penguins stated pre-game that they were confident in Jeff Zatkoff and didn’t need to adjust their style of play but they may want to reconsider this. The Pens outshot the Panthers 39-30 and still couldn’t manage to put a 4th goal past Markstrom to cash our team total play. Our Over pick on the Devils/Flames game was 1 goal shy of being a winner. Maybe if either team had taken more shots(21 NJ, 29 CAL) there would have been more goals. 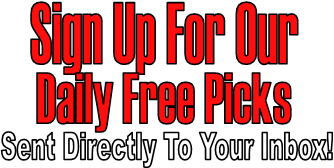 We have two picks today who provide exceptional value for us, one game starts at 2:00PM EST. This write-up will be short as we need to get this out asap since the game starts in a few hours. We will stick with the home underdog this afternoon in Columbus. These two teams have identical records at 2-1-0, Boston winning both of theirs at home and Columbus away. The Bruins haven’t been scoring as many goals as they are used to, at a low 2.33 Goals/Game (they did lose 3 of their top 8 scorers last season). Columbus have been scoring an average of 3 goals/game and allowing 2.33. Bobrovsky has been playing decent hockey (2.27 GAA .920 SV%) and Rask has also been solid with a 1.00 GAA. These two teams are close to even right now, they both also share a similar PP% and PK%, Boston has been allowing less goals but Columbus has been scoring more goals. We will go with the home underdog who provides excellent value for us this afternoon. The line has already dropped since writing this. Get this one at a good price while you can. We have excellent value here with an undefeated Colorado team (4-0) against a Capitals team whom has only 1 win in 4 games (1-3-0) , and we get the Avalanche at plus money! The Avalanche have conquered Boston @ the TD Garden (2-0), the Leafs @ the Air Canada Center (2-1), Nashville at home (3-1), and Anaheim 6-1 at home. The Avalanche are averaging 3.25 goals/game, which is more than the Capitals average of 2.75. Colorado also has two solid goaltenders between the pipes; they decided to start Jean-Sebastien Giguere against Boston and he did great, managing to save 39 shots against for a 2-0 victory. Semyon Varlamov has also been playing impressive hockey, he is 3-0-0 with a 1.00 GAA for a save percentage of .967. Colorado also has maintained a 100% Penalty kill and face a Capitals team who has gotten most of their goals on the power play. Michal Neuvirth is the confirmed goaltender for Washington tonight, he has 1 game played and managed to save 27 of 28 shots. He currently sits with a 1.00 GAA, but the Capitals team are allowing an average of 3.75 GA/G. We will gladly take the Avalanche tonight as “underdogs” against Washington.